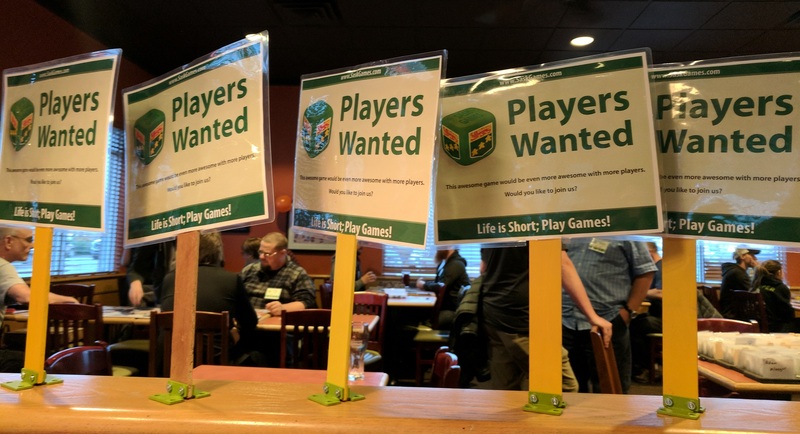 Coconuts, Century Spice Road, Mission: Red Planet, Android: Netrunner, Ideology: The War of Ideas, Architects of the West Kingdom, Unfair, Welcome to Centerville, Tobago, Dungeon Petz, Tummple!, Magic Maze, Battle Sheep, Sushi Go!, Boss Monster, Red 7, CO2: Second Chance, Chariot Race, and more! Play With Your Food will be raising money for Street Culture Project this year. Sign up your team and pay your fees before May 6th for a chance to win a prize! Once your team is registered, check out the fundraisers for a taco night, or sign up for hot dog sales occurring over the next few months!